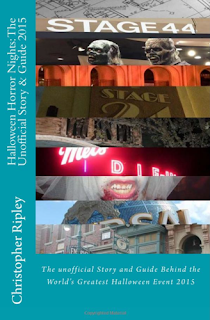 Joe is joined by Christopher Ripley, author of Halloween Horror Nights: The Unofficial Story & Guide 2015. We discuss Chris' history with the event, creation of the book, recount some fun stories from past events, turning points of Horror Nights, and more! And make sure to enter our giveaway of the book!